Bonnie Guevin, CRS, RI, SRES, GREEN Bonnie served as the 2009 National Association of REALTOR®s Regional Vice President representing Region 1 which includes ME, NH, VT, MA, CT and RI. Bonnie was awarded the Good Neighbor Award for GMNBR and NHAR for who work as a volunteer for the CASA organizations. She was awarded the 2009 New Hampshire Association of REALTOR®s REALTOR® of the Year. 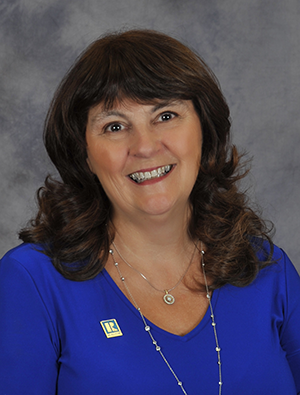 Bonnie Guevin was the 2007 President of the New Hampshire Association of REALTORS®. She is the broker/owner of Bonnie Guevin & Associates, LLC since 1998. Bonnie has been a REALTOR® member for 27 years. She has served on several committees at both local and state level and has chaired many at the local level. Bonnie has served as Greater Manchester Board President in 1994 and President for the Greater Manchester/Nashua Board in 2004. In 2008, she chaired the National Association of Board Leadership forum and has been NHAR representative on the Housing Needs Committee for 5 years. She is currently serving on the NAR Meetings and Conventions Committee and Nominating Committee. Bonnie is also a strong advocate for the mediation process and has completed the NAR mediation training and has served as a State and Local association mediator since 1994. She has also earned her CRS (Certified Residential Specialist), GRI (Graduate, REALTOR®s Institute), and SRES (Senior Real Estate Specialist) and GREEN designations. Bonnie specializes in working with buyers, and sellers of residential, multi family listings and condominium. She has been a very active member of the Southern NH marketplace and works very hard for her clients and customers. She has served her community by participating on the Board of Directors for the Moore Center Services (physically and mentally challenged adults) and the Manchester Boys and Girls Club.and was named Director of the Year in 1994 for the Manchester Boys and Girls Club. She currently is a CASA/GAL (Court Appointed Special Advocate/Guardian ad litem) and serves the Greater Manchester area representing the best interest of physically and sexual abused children in the court system. It would be a pleasure to help you with all your real estate needs.